Hundreds of Products - We will try to continue to add tot he shop all the time, the stock range and level will be very large! Free Delivery - On orders over £100, and next day delivery from £6! Package Deals - A large list of packages specially put together to offer you the best price possible for multiple items. From beginner to advanced we will have a bargain for you! Offers - Exclusive deals matching and beating some of the lowest UK prices! Brands - All the biggest names in the industry! Rods - From beginners children's rods to advanced XXL rods! Reels - From beach to boat reels, for every budget! Luggage - Bait boxes, carry cases, fly cases, rucksacks & more! Bait - Order your fresh and frozen bait to be delivered or collected! 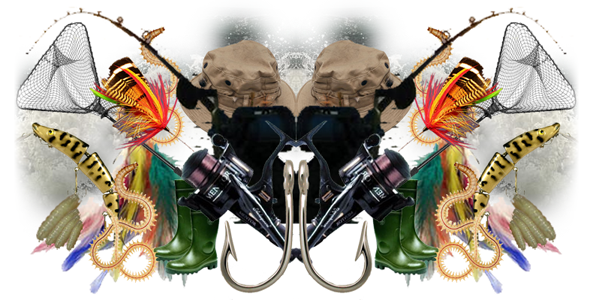 Clothing - Wellys to waders, sunshades to hats, we have the lot! Accessories - All aspects from lead weights to hooks to fly's & lines! Ordering information - A detailed guide so you wont get stuck!